But at least I can finally say that I'm one of those people! I was pretty fortunate with dolls so far. I used a birthday and a Christmas to fund two girls, sewing money for another, etc. 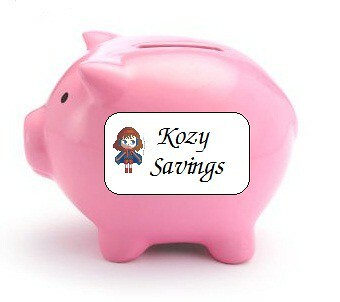 I have never had to actually save for a doll...but then again, no doll in my collection costs quite as much as a Kozy. I posted awhile back about how Kozy fever hit. Shortly after a BK member posted a Kozy on the forums and I just about died. I wanted this particular Kozy SO badly, but there was no way I could raise the funds that quickly. Forget "selling this or that" I don't have anything to part with that would even come close. I decided after she sold that I would work on my etsy shop. 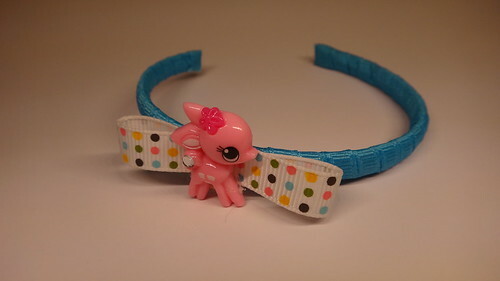 I posted several new sets of headbands and a ribbon wrapped one. I am happy to report that all of those, as well as some I posted the night after, have already sold! I am keeping the money from the etsy sales in my Paypal account and saving (gasp!) the balance for my Kozy! I am already 1/14 of the way there (which sounds better to me than it does to you, I'm sure) There will be another shop update tonight, and so far, all of the 'plastic' headband sets that I sell are being restocked immediately. If you have purchased or plan to, THANK YOU!!! for helping me fund my Kozy!